The ISA Ireland Section Honours and Awards for 2017 was held in the august chambers of the Senior Common Room at University College Cork. The selection committee comprised Tim Crowe, David O’Brien and Billy Walsh. Former Section President Alan Bateman is Chair of the H & A Committee. 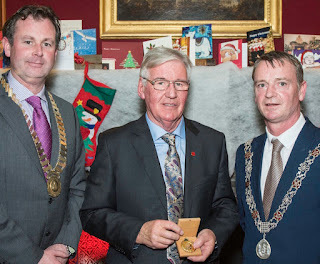 The event was hosted by Current Section President John Murphy and the awards were presented by Cork's Deputy Lord Mayor Cllr. Fergal Dennehy. 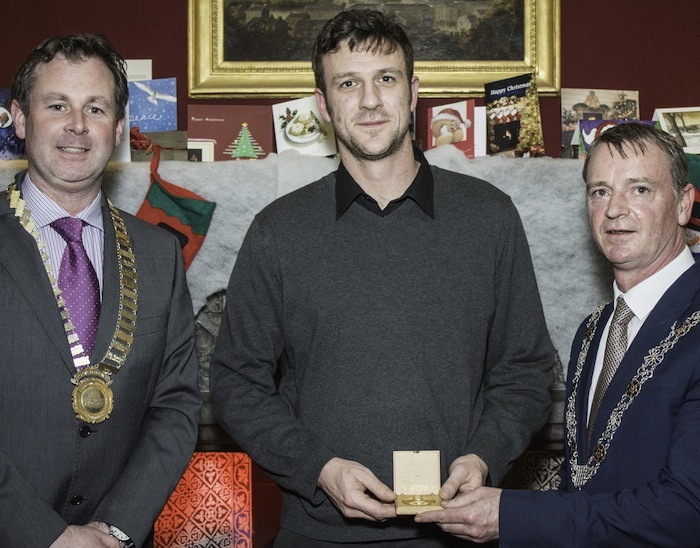 Jack Cremmins (IT Carlow) was Craftsperson of the Year. Jack Cremmins has completed his apprenticeship as an Electrical Instrumentation craftsperson. Jack has achieved credits in every subject for phase 2,4,6. Jack has also received the student MEETA award at the Engineers Ireland awards in 2017 For developing an IOT platform for modern process measurements. 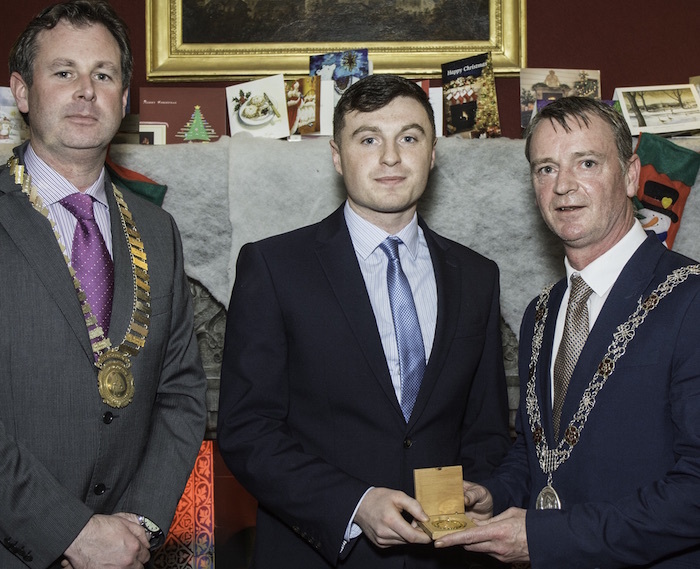 Jack served his apprenticeship with Hanley Controls Clonmel and has worked on several major projects in the area. Ivan Walsh (Dublin IT) was recipient of the Degree Award in 2017. 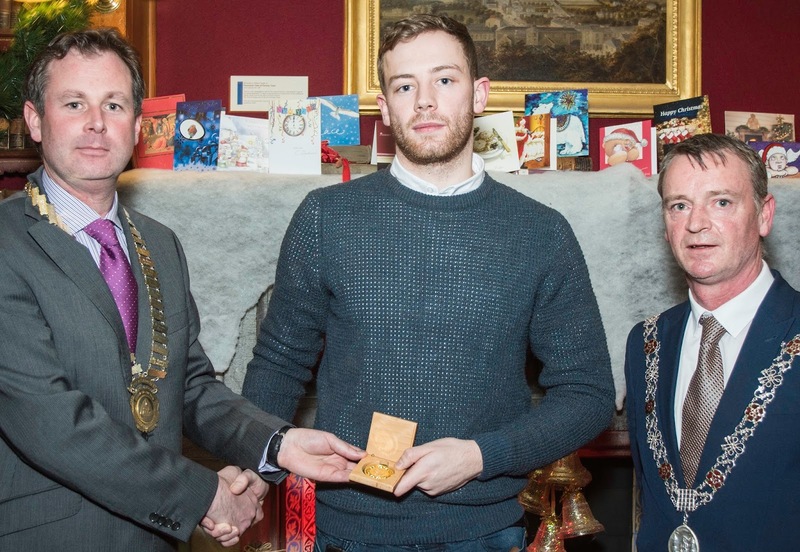 Ivan Walsh has been an outstanding student on the degree course in Electrical and Electronic Engineering at the Dublin Institute of Technology. The objective of this level 7 final year project was to automate a laminated cardboard tube drying process using a OMRON Programmable Logic Controller (PLC) and WEINTEK SCADA system using cx-one software. The automated system employs forced air convection drying of the layered glues holding the laminated cardboard tubes together. This reduces drying time by 80% compared to current drying, while maintaining product strength and stability. The automated dryer was designed to have a touch panel SCADA interface where an operator can enter unique drying recipes corresponding to the thickness, diameter and length of the tubes. The SCADA also displays real time data for air temperature and humidity and corresponding drying curves. The process has three closed loop controllers currently using ON/OFF control which were programmed in the PLC. The first control loop regulates air flow using four blast fans. The second control loop has two dehumidifiers used to regulate the humidity of the drying air based on relative humidity measurements. The third control loop regulates the temperature of the drying air using two remote condensing units. As part of the project the temperature and humidity instrumentation was commissioned as well as both controller actuators. Additional fault code was designed to monitor for operation alarms and faults for each of the actuators and feedback instrumentation. The PLC programming, dryer commissioning, and factory acceptance testing all took place onsite in in Industrial Packaging Ltd Bray Co. Wicklow where the process is now fully operational. Dylan is a first class honours student with an exceptionally high GPA of 3.71. The highest attainable GPA is 4.0. and a GPA of 3.25 is required for a first class honours award. In 4th Year Measurement for Interfacing and Control Dylan Darcy achieved a grade of 87 % in his exam, one of the highest in class. He got a 72% mark in the continuous assessment section of the course, this mark is partially based on group work with others in the class. In the group sessions, some were quite prescribed tasks and one was a very open ended project. So these tasks required groups to overcome internal issues, allocate tasks, create and present material. Dylan acted very much as the go to person for his group and others, he showed excellent leadership skills in bringing people together and getting the required tasks completed. He has consistently preformed very well in his exams since starting on his education in IT Tallaght. Dylan was awarded an A for his final year project which involved the design, construction, programming, operation and testing of a four-cable positioning robot and vision system. The robot moves an end-effector attached to four cables using stepper motors. A camera mounted above the rig is used to take a still image. This image is processed in Matlab. Locating marks on the base of the rig are used to identify and align the workspace. A moveable target circle on the base is then identified by Matlab and the robot moves the end-effector to the location of the target. The robot is programmed primarily in Matlab, and an Arduino is used to control the motors. The focus of the project was on the development of the Matlab code to operate the robot and finished prototype is fully functional. 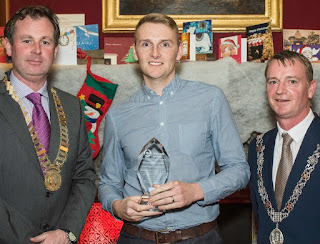 Dan Moore (DePuy Synthes) was recognised for the Innovative Project Award. This award is to recognise a project which has made a significant contribution to the advancement of industry in Ireland through the use of Automation Technology. 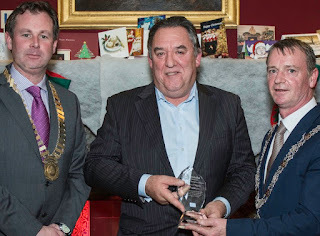 Automation Champion was Brendan O'Regan of Zenith Technologies. Brendan is founder of Zenith Technologies in 1998 which now has 16 offices worldwide with over 800 skilled employees, delivering over 3500 years combined engineering experience. • Pioneering application of distributed Control Systems to Pharma batch automation in the mid- eighties. One of the first applications to Batch in Pharma API in Ireland. • Pioneering interfaces between DCS and PLC subsystems using novel techniques of parallel and serial data connectivity. • Development of standard S88 compliant software modules for control of Operations, Phases, Equipment Modules and Control Modules. Deployed these modules successfully in other parts of the world for major Pharmaceutical Companies. • Development of a Batch Matrix model for the definition and control of Software project execution. • Pioneered the use of Multiplexers in the Hazardous Area for discrete signal collection and processing. • Pioneering deployment of Mass Meters and Radar level controls for use in Pharma processing. Although he was elected as Instrumentation Supervisor for the newly constructed power station at Tarbert in Kerry in 1969, due to a family bereavement decided to remain in the midlands and take a position as Regional Technologist attaché to the Midland Generation Region with responsibility for Allenwood in Kildare, Portarlington in Laois and Rhode in Offaly Peat powered generation stations. In 1971-2 he transferred to Ferbane station to update the plant instrumentation and to develop standards for measurement of the critical parameters for required for efficiency measurement. Sourcing equipment and supervising installation of the systems in eight of the Midland Region stations. A interesting fact about Frank is that he it was who came up with the name of this award, The Pioneer Award in 1983 when it was first awarded. This makes it all the more pleasurable that he should be recognised with this particular award. • Pictures are by Trevor Hallows, a member of the Ballincollig Camera Club. Some valuable info here, thanks a lot. Dateline is round the corner and you can't cope? Try this reliable cv ireland sample website here. Simply click this to get the quickest way to complete cv in high quality. Good luck! Supporting automation in Ireland for forty years. District 12 DLC - Tel Aviv 14/17 Apl 2015! 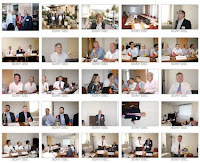 Visit to Middle East: District VP's report!